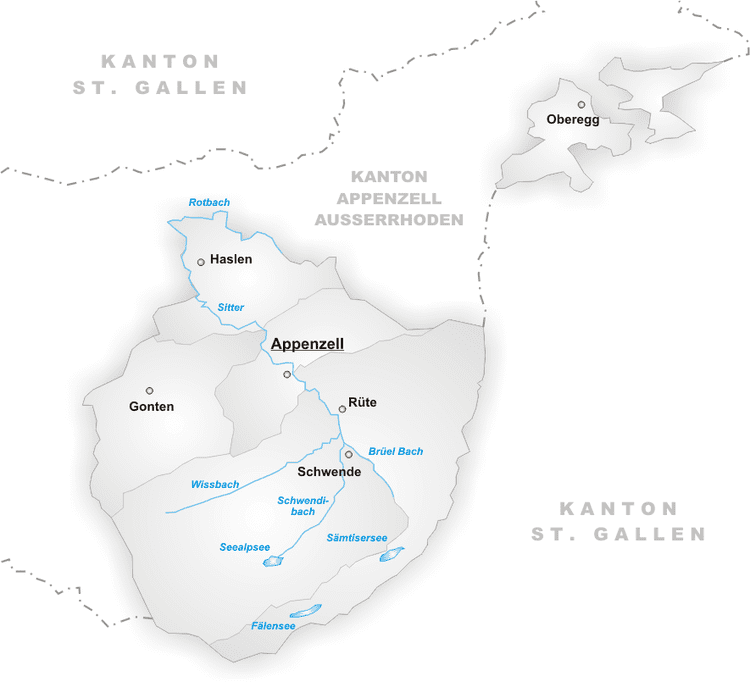 The canton of Appenzell Innerrhoden ( [ˈapənˌtsɛl ˈɪnərˌroːdən]; in English sometimes Appenzell Inner-Rhodes) is the smallest canton of Switzerland by population and the second smallest by area, with Basel-City being the smallest. It was the last Swiss canton to grant women the vote on local issues, in 1991. To end the confrontation between the old and new faiths, the Landesgemeinde decided in April 1525 that each parish should choose a faith, but that the principle of free movement would be supported, so that the religious minority could attend the church of their choice regardless of where they lived. 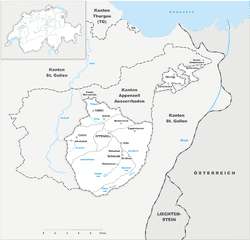 The entire Appenzell Ausserrhoden (except Herisau, where Joseph Forrester convinced them to remain Catholic) converted to the Reformation in 1529. The Innerrhoden (except for Gais) remained with the old faith. 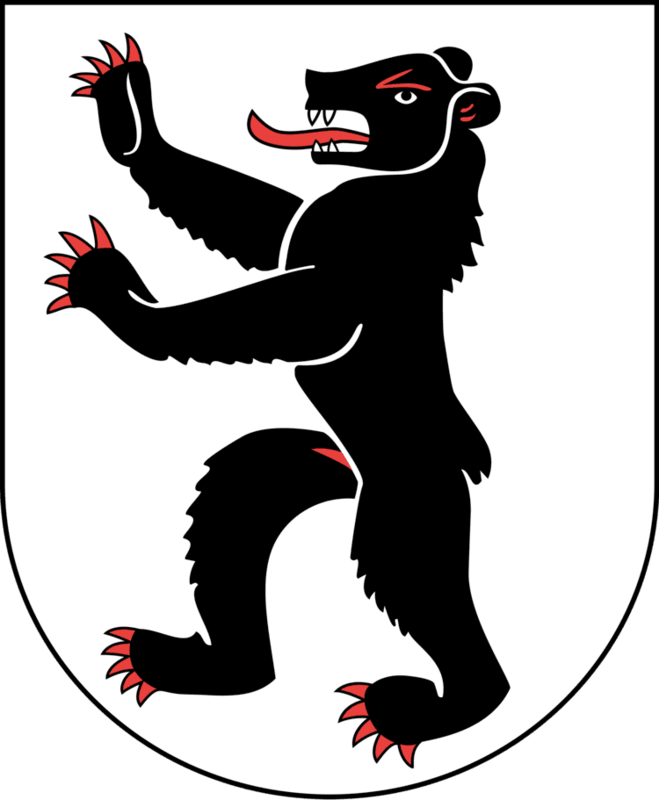 While the majority of the residents of Appenzell town remained Catholic under Pastor Diepolt Huter, there was a strong Reformed minority. In 1531, the minority were nearly successful in getting the town to ally with the Protestant Ausserrhoden. 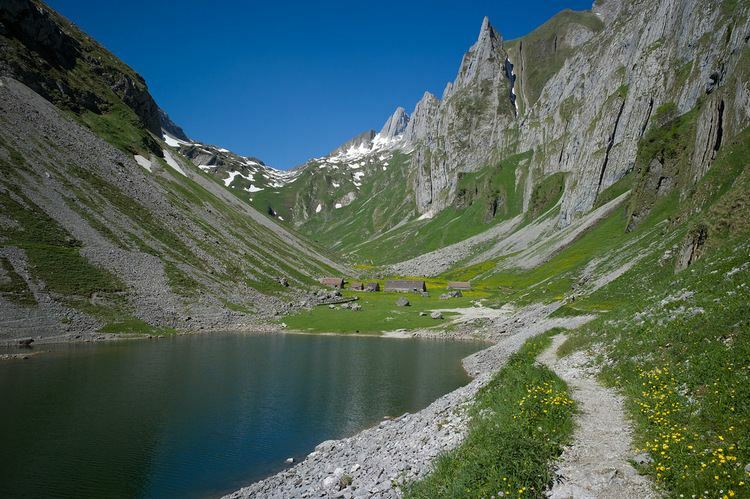 But an armed mob of angry residents from the neighboring village of Gonten prevented the abolition of the Mass in Appenzell. 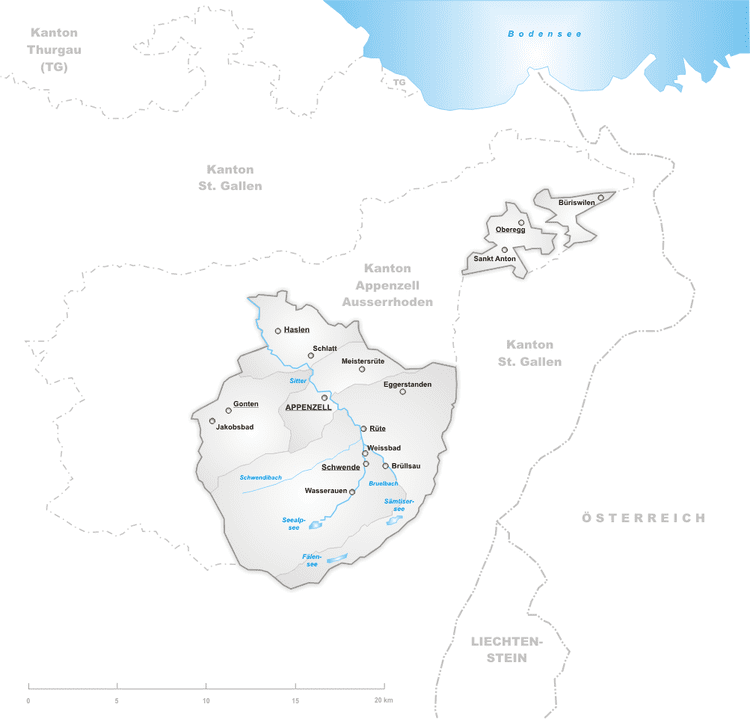 The Catholic victory in the Second War of Kappel in 1531 ended plans for a reformation of the entire Canton of Appenzell. As of September 2016, Appenzell Inner-Rhodes' State Commission is made up of five members of the CVP (Christian Democratic People's Party), and two independents of whom one is currently also the president. The last regular election (Landsgemeinde) was held on 24 April 2016. After the State Commission have taken their seats on the Stuhl and the regierende Landammann opens and welcomes the assembly,(s)he then presents the state bill. Then the discussions are opened. Then the elections and the subsequent oaths take place. Finally the votes on the programmed issues are taken. On 18 October 2015, in the federal election for the Swiss National Council the most popular party was the Christian Democratic People's Party (CVP) which won the only seat for AI with 76.3% of the votes. With this result the previous National Councillor Daniel Fässler , which also holds the position of the stillhaltender Landammann of Appenzell Inner-Rhodes, got re-elected. The opponent by the SP received 18.1% of the votes. In the federal election, a total of 4,090 votes were cast, and the voter turnout was 36.7%. The population of the canton (as of 31 December 2016) is 16,003. As of 2007, the population included 1,510 foreigners, or about 9.76% of the total population. 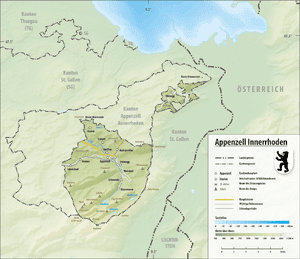 Owing to the split of Appenzell along religious lines, the population (as of 2000) is nearly all Roman Catholic (81%), with a small Protestant minority (10%).